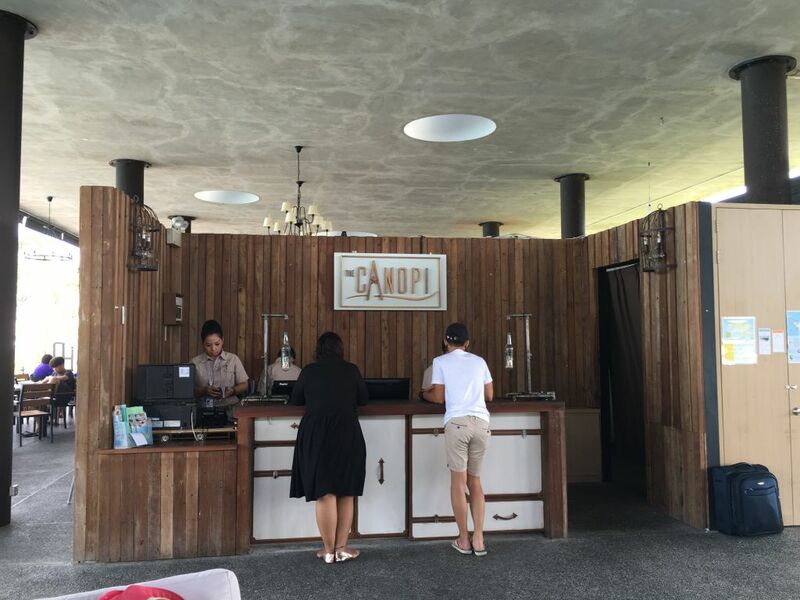 If you still need convincing on why you should go to Bintan, Indonesia and stay at Canopi in particular, do read through these 5 Questions and Answers. 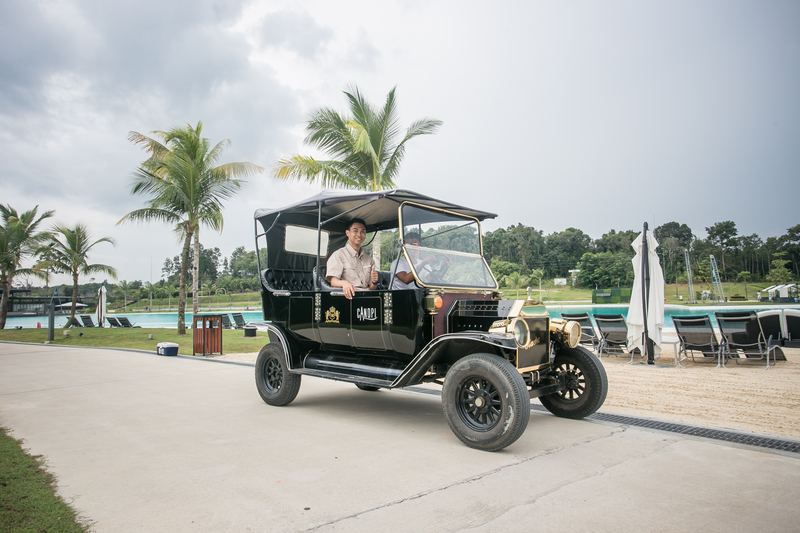 Thinking of a getaway that doesn't waste too much commuting and waiting time? Unable to get a few days' leaves or don't want to be away for too long? 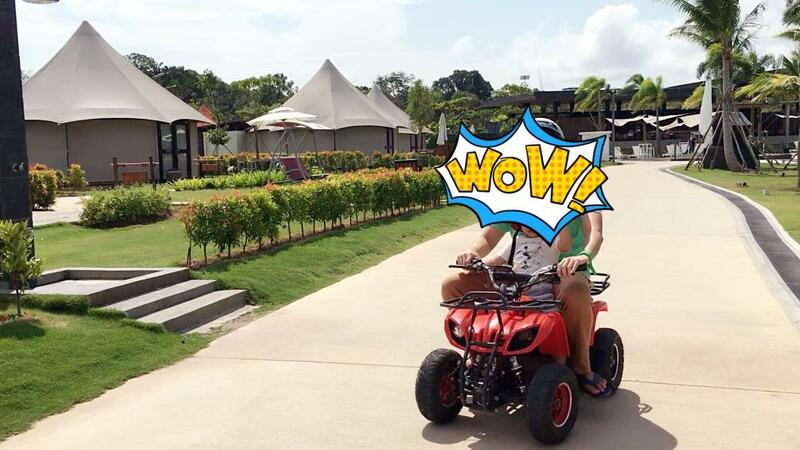 All this getaway takes is just a 2 days 1 night, any shorter you would just have to settle with Sentosa. Planning for a getaway that doesn't burn a hole in your pocket? Anything more affordable AND better than this would be your own bedroom. Bored of the usual overseas hotels or resorts for your holiday? 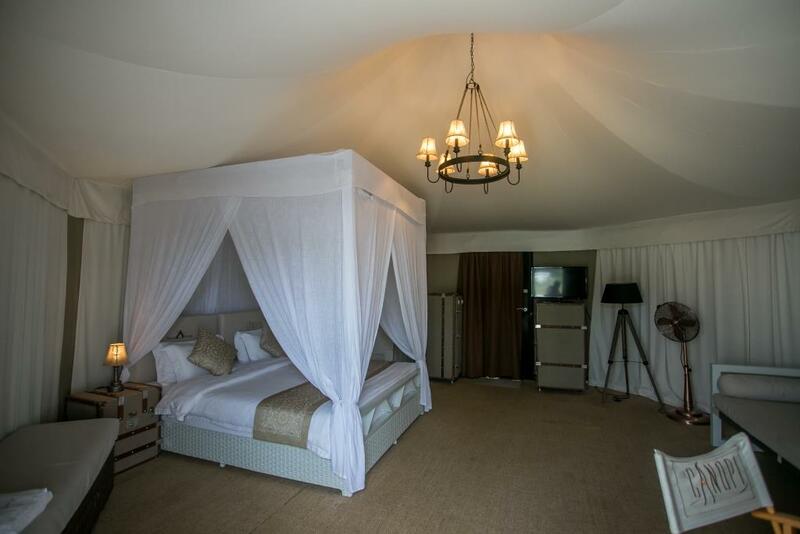 This property offers unique accommodation that has recently popularized the word 'Glamping', Glamorous Camping. Fancy anything that's new and fresh? 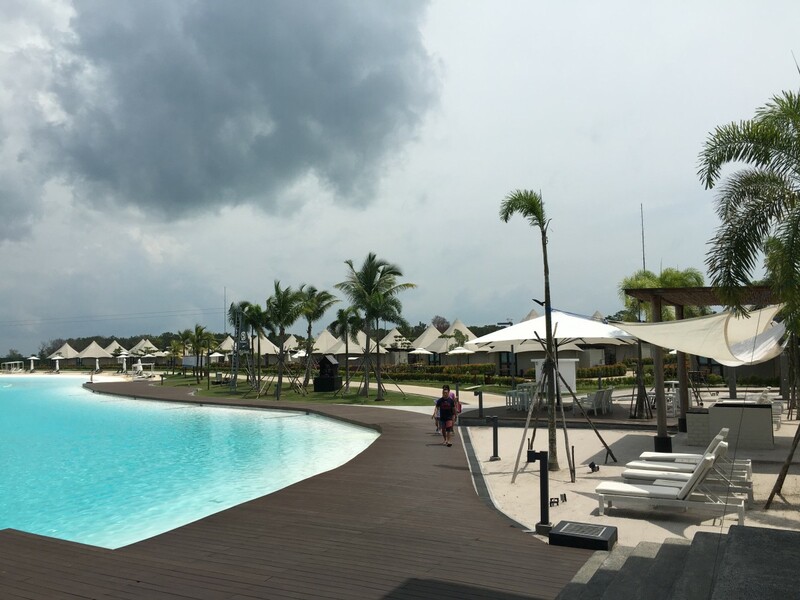 This is the latest resort in Bintan. So it's as good as new, because it's NEW! If you come across a long-winded blog, stay away from it! Nobody with a proper job and a real life would have the time to read a long-winded blog word by word. We respect your time so we're not going to waste it by blowing your mind with bombastic vocabulary and stuffing you with 2000-word essay. As Jim Rohn aptly said "Time is more valuable than money, you can get more money but you cannot get more time!" Since a picture is worth a thousand words, then these pictures would amount to tens of thousands of words! We'll let them do the talking! A simple yet effective reception counter attended by efficient receptionists. 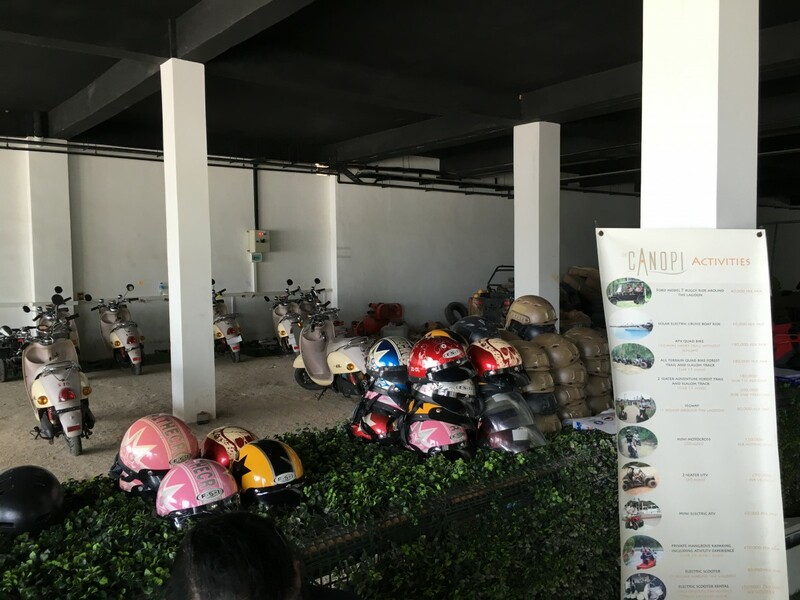 If you reach the resort much earlier prior to check-in time (2pm), you can leave your luggage in their storage room. That way you don't have to carry it on your shoulders while you do your wakeboarding or kayaking on the crystal lagoon. 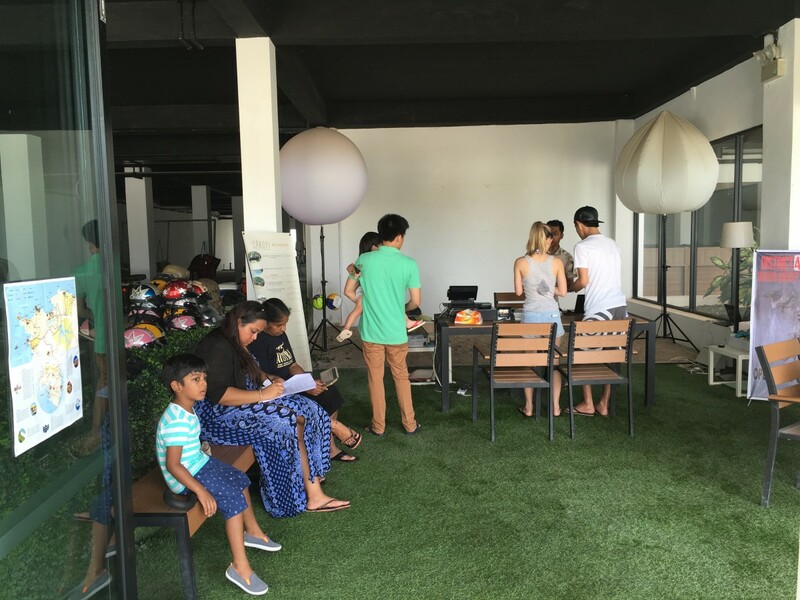 Lobby is spacious and filled with sofas. Big enough for you to play 'Catch' among yourselves. 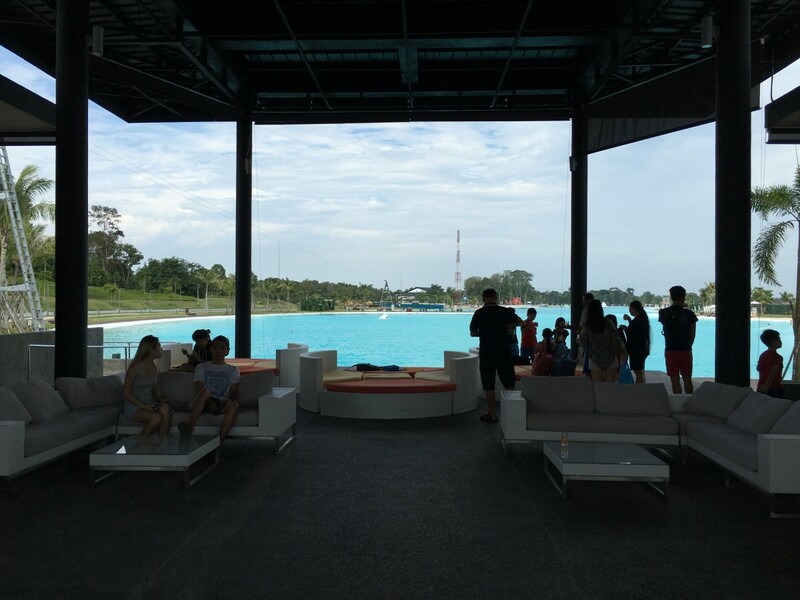 View of the crystal lagoon from the lobby. No it's not Iphone 6S's fault for this disastrous image, it's the photographer's. It's me. 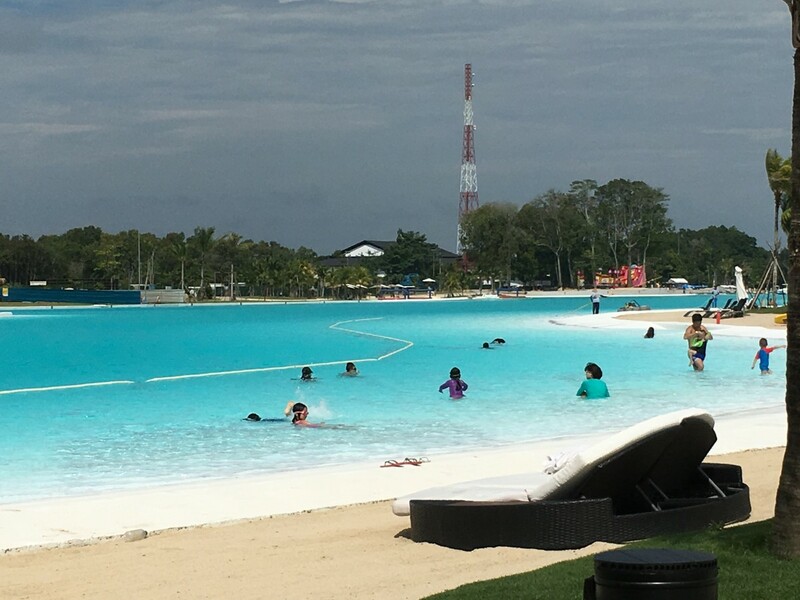 Although it's man-made and unlike those you could see in Maldives, the turqoise blue water of the crystal lagoon is good enough for the peanuts that you need to pay. The path from lobby towards the tents. 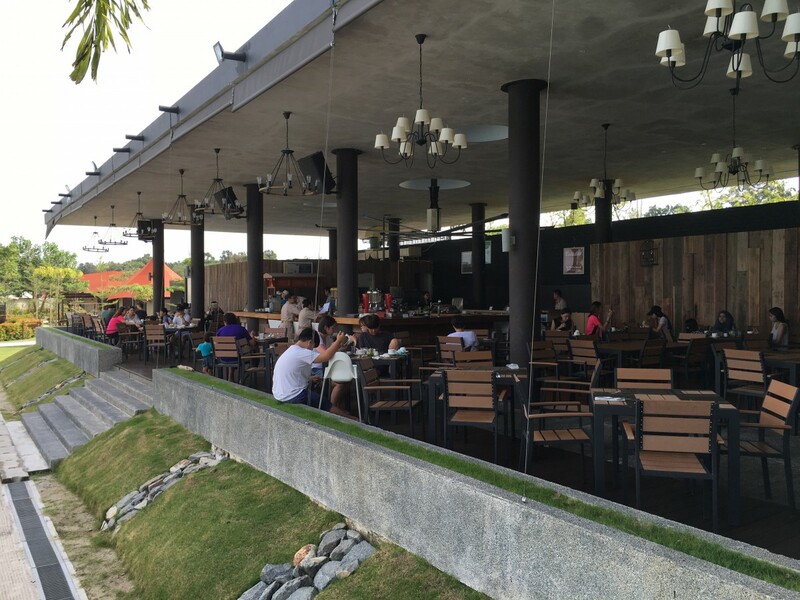 Unless you're planning to explore outside the resort, this would be your hangout point, lunch venue, romantic dinner restaurant, buffet breakfast joint and supper place. 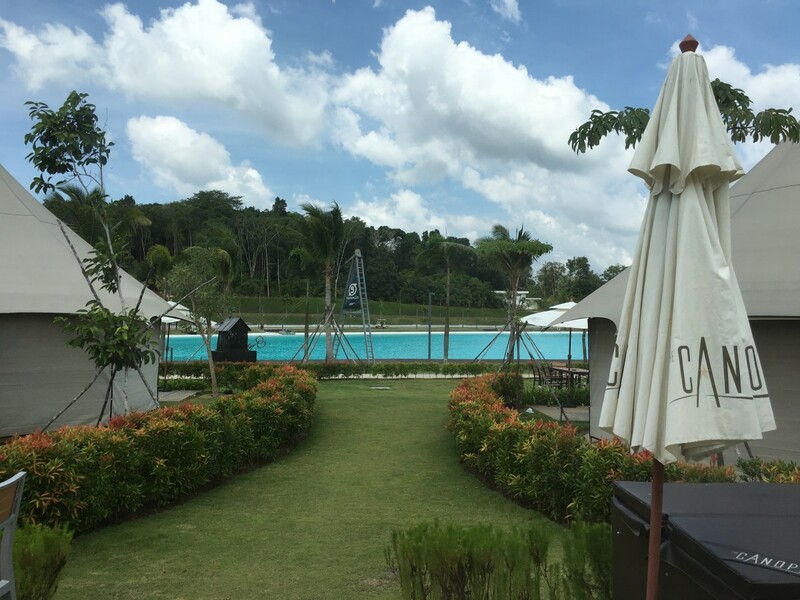 As you can see, the proximity of the tents and crystal lagoon is only slightly further apart than that of your living room and your kitchen at home. Just in case you want to know how smooth and even the walkway is in order to decide what footwear to bring. 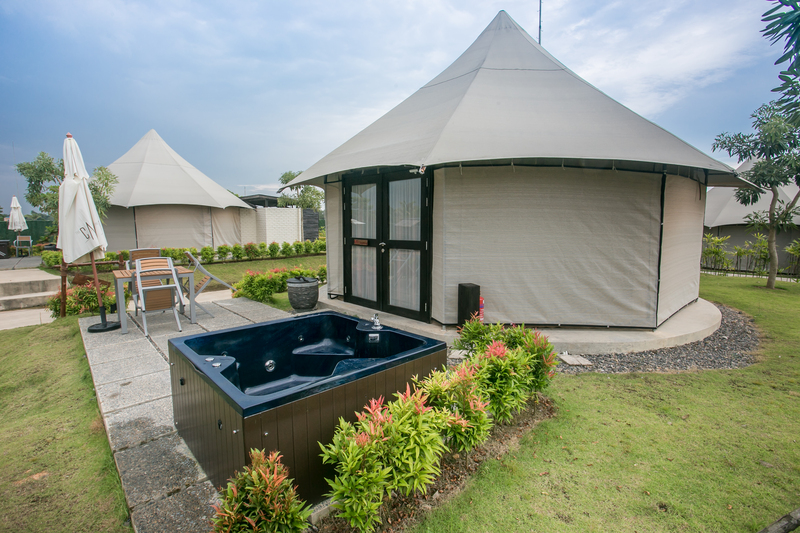 The jacuzzi is right outside your tent. What better way to show off your brand new bikini, six packs or…. one big pack! View from right outside our Jacuzzi tent suite. 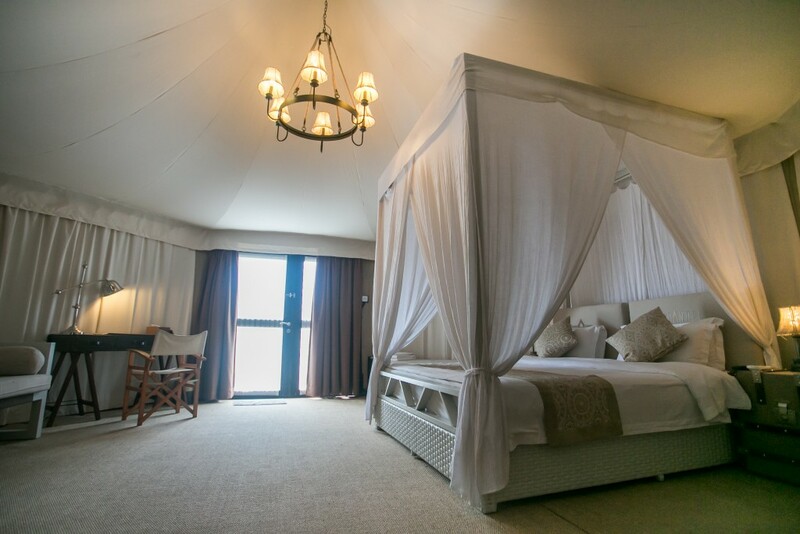 The Jacuzzi tent suite is positioned one row behind the Lagoon Tent Suites. In terms of proximity to the crystal lagoon and view of the lagoon from the tent's door, this is their ranking: 1. Lagoon Tent (best view), 2. Jacuzzi Tent (some view), 3. Safari Tent (no view). In terms of their price, ranking them from highest to lowest: 1. Jacuzzi Tent, 2. Lagoon Tent, 3. Safari Tent. 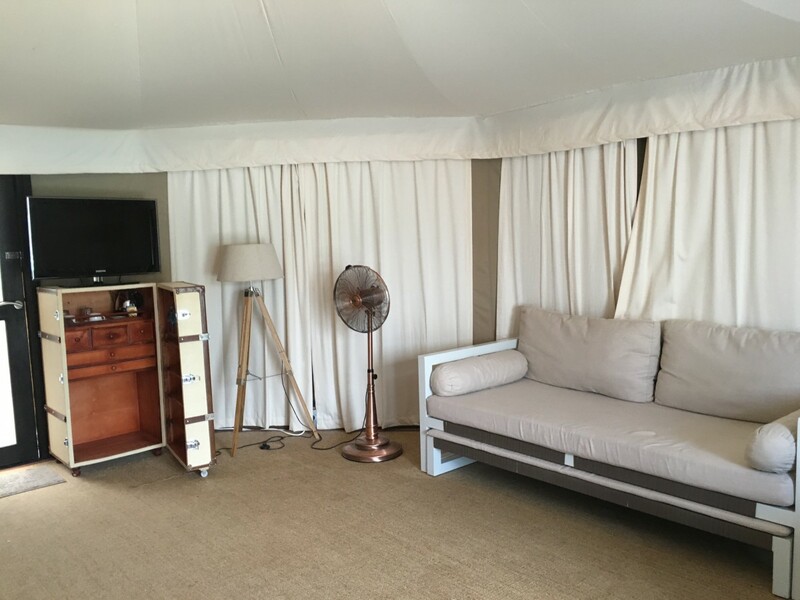 View of the room the moment you step into the tent suite. Don't worry, the net was not installed to prevent mosquitoes from attacking you (there was none the last time we were there). 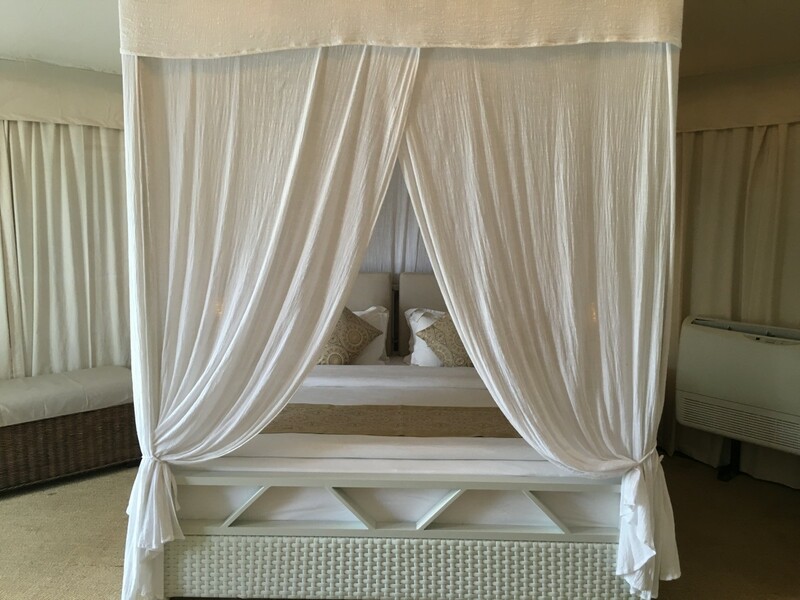 The mosquito net is just there to make you feel 'Special'. You know you are, right…. You can convert that sofa into a bed and sleep on it if you're sick of the usual "bed-sleeping" back home. But of course, you will still get an extra bed for the 3rd person. If there's a 4th person in your family/group, the 'lucky' one will get to sleep on this sofa. 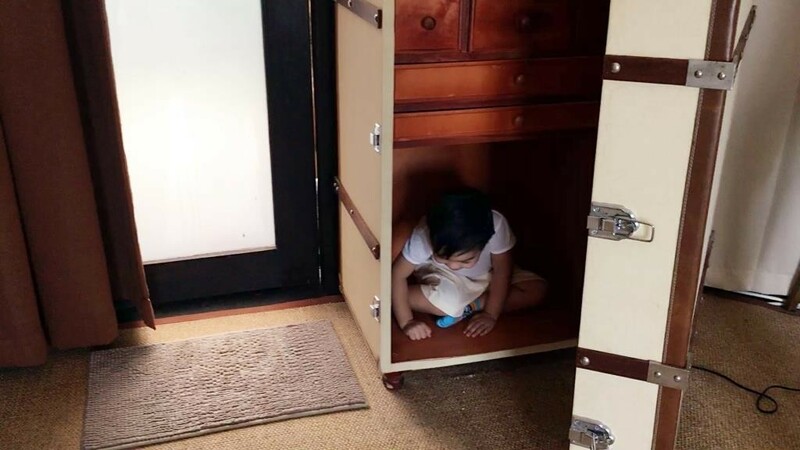 The cabinet is useful if you have a 2 or 3 year old kid who likes to play hide and seek. For those who have an obession to know the feel and view of the room from every angle before passing a verdict. 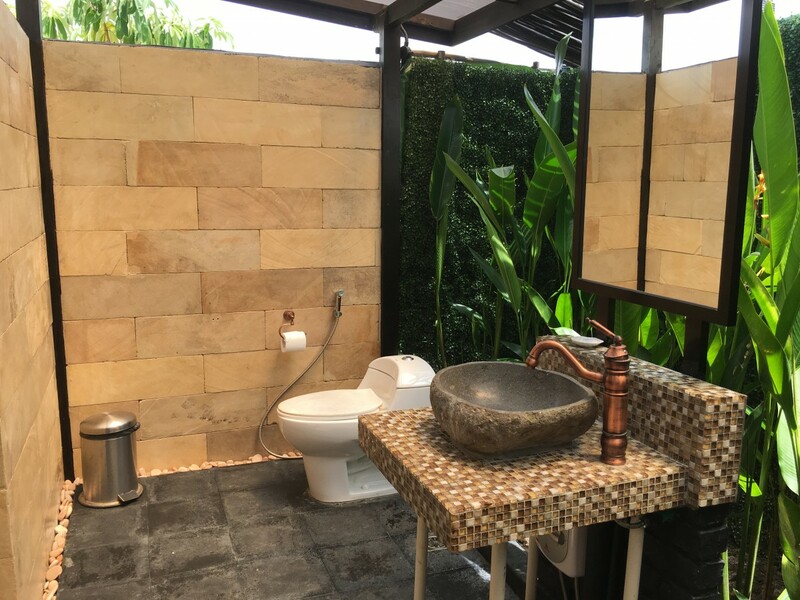 If you don't think there's anything special with an outdoor toilet, congratulations! You're the top 2% of the population who live in a big enough property with a deep enough pocket to build a unique enough toilet. For the rest of us, it is definitely a novel and rejuvenating experience at a very affordable value! 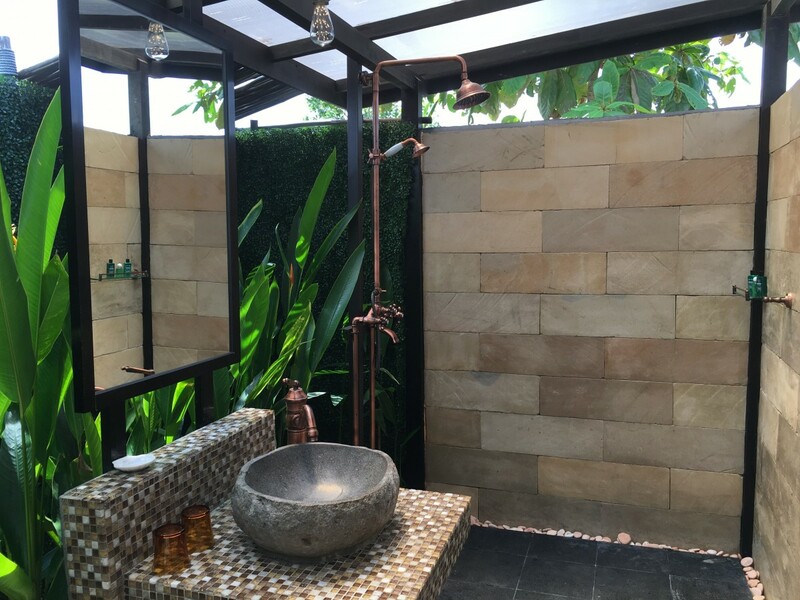 That's how a rain shower should be! Any more natural than this then you'd have to shower in the open when it rains. Yes it crossed my mind too. But I figured that only someone as tall as Yao Ming standing on a stool / ladder could peek at us doing our business. 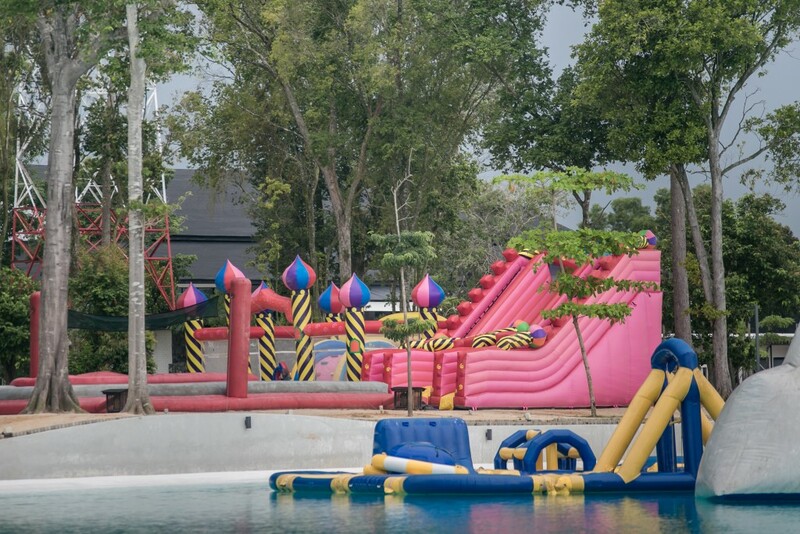 This is the Activity Centre where you could book your land and water sports activities. This is also where they store and charge their electric scooters and ATVs. There might just be times where they have run out of vehicles for rent or that the vehicles are still being charged. Tough luck, try again at a later time! 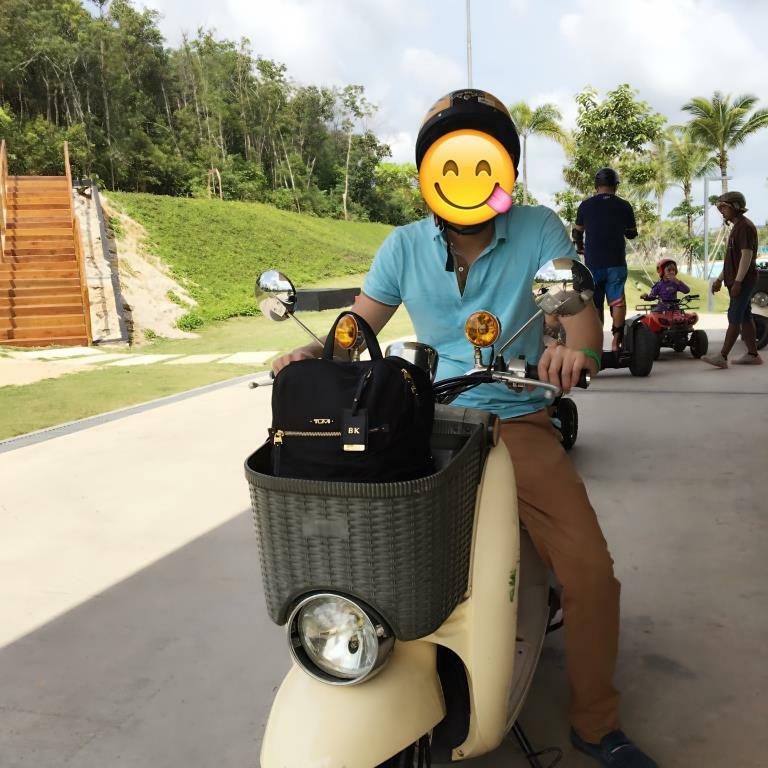 The electric scooter was really fun. 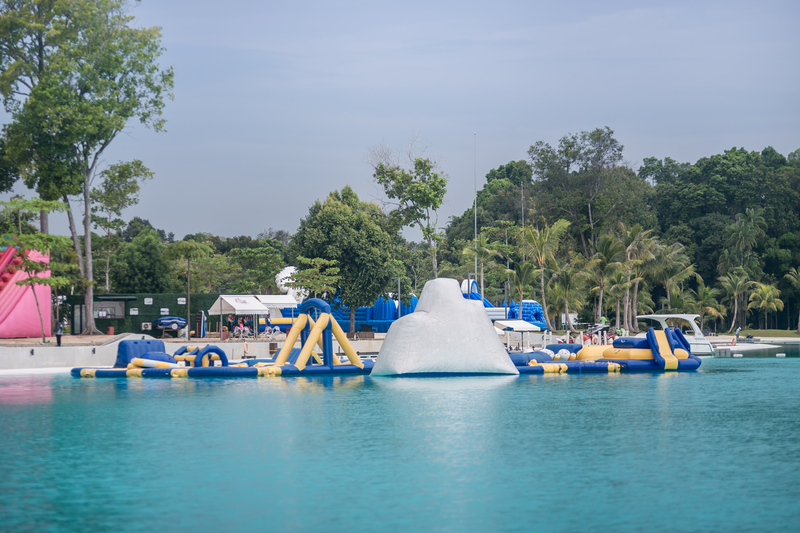 If you plan to use it to explore outside the resort, consider renting it for half a day at S$25 or fullday at S$35. I rented it twice to go round the perimeter of the crystal lagoon (S$8 x 2 = S$16). The crystal lagoon is really huge. At a leisurely space, it took me more than 15 minutes to go round it. The electric mini ATV is fun too, especially for kids! My son loved it! (S$6 per ride). It has a maximum load of 60kg actually. But if you have expert negotiation skills with a charming attitude, sometimes you could get away with certain things. Most of us were not yet in existence when cars like this roamed the streets. If you're a car enthusiast or have lots of spare change (S$4), maybe you want to give it a try. Some of us did not really have a very happy childhood. So why not take this opportunity and be a kid for a moment?! It only costs S$9/ hour to mend that broken memories. Then again, it's really not about you, is it? It's about your kids! Let them play! Talking about watersports, avoid the Water Tricycle at all costs! Do not take it even if they were to give it to you for free. For each pedal that you make, your knee/thigh will hit the steer! Most painful and ridiculous 15-minute I've spent on the water in my life. Saw quite a number of people do the wakeboarding and it looked quite fun! 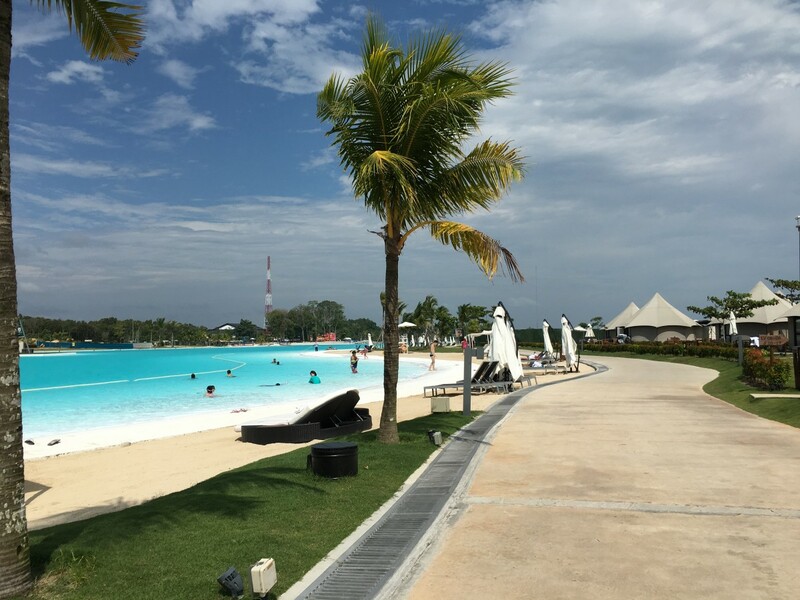 If you have never been to bintan, try going for a short, quick and affordable getaway to this island where you can recharge and rejuvenate yourself. 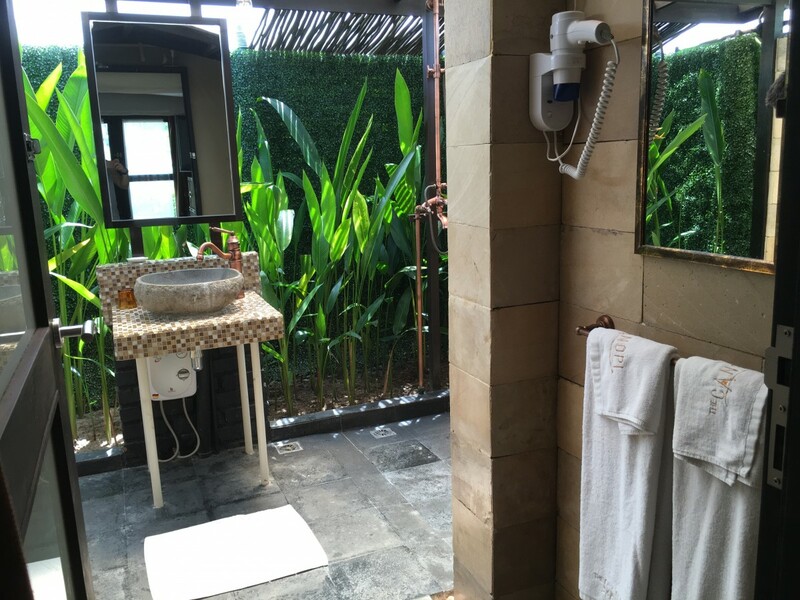 And what better way than to stay at the newest resort on the island? 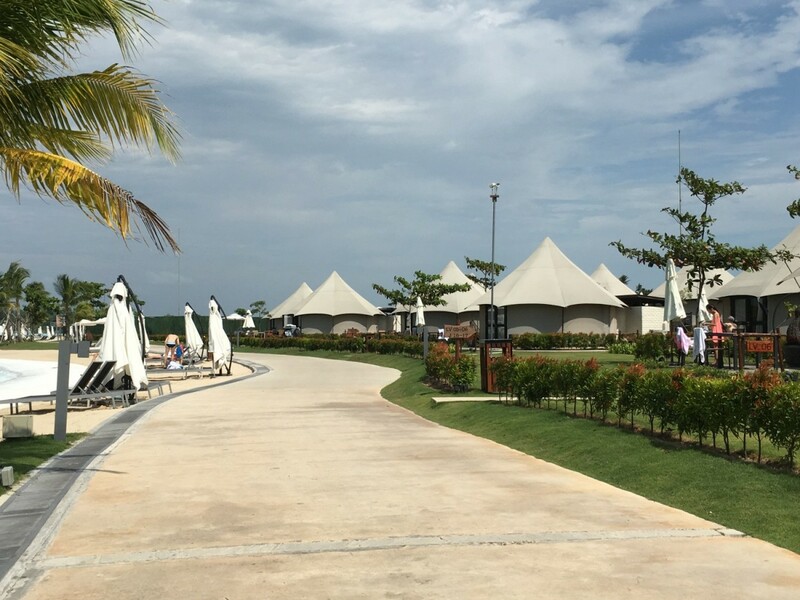 If you have been to bintan and stayed in other resorts before, why not give this unique resort a try for a new experience? 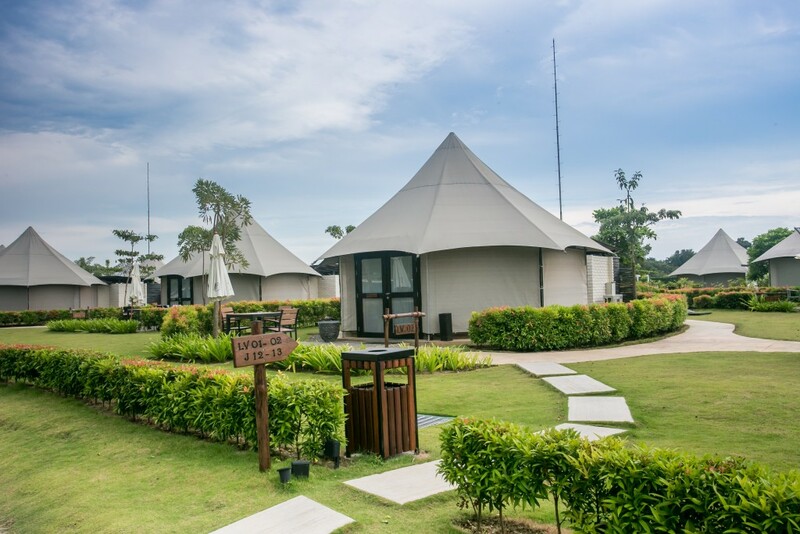 If you have stayed in this resort before, why not try staying again at different tent category, with different people, doing the other land/water activities, eating different kinds of meals, taking different kinds of pictures & videos? All images are property of Lokopoko.travel. All Rights reserved. 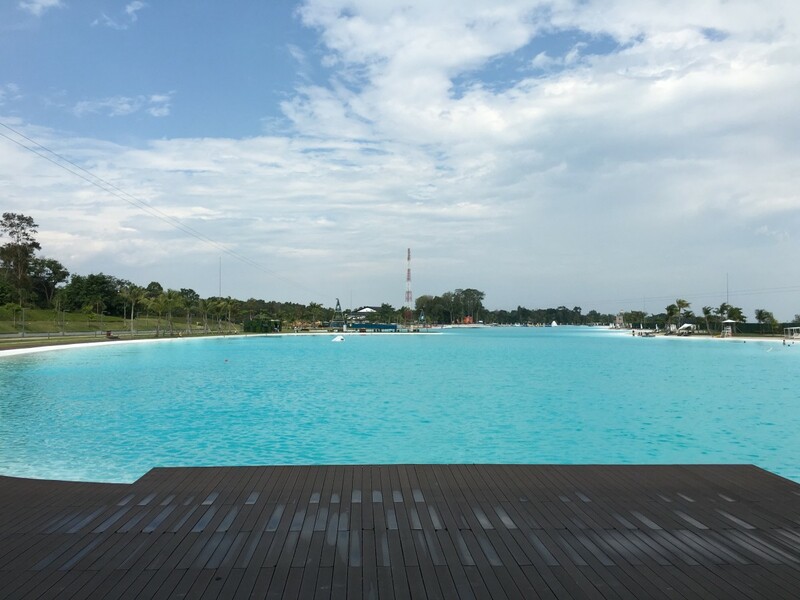 I liked the way you have mentioned the prices of renting at the resort. 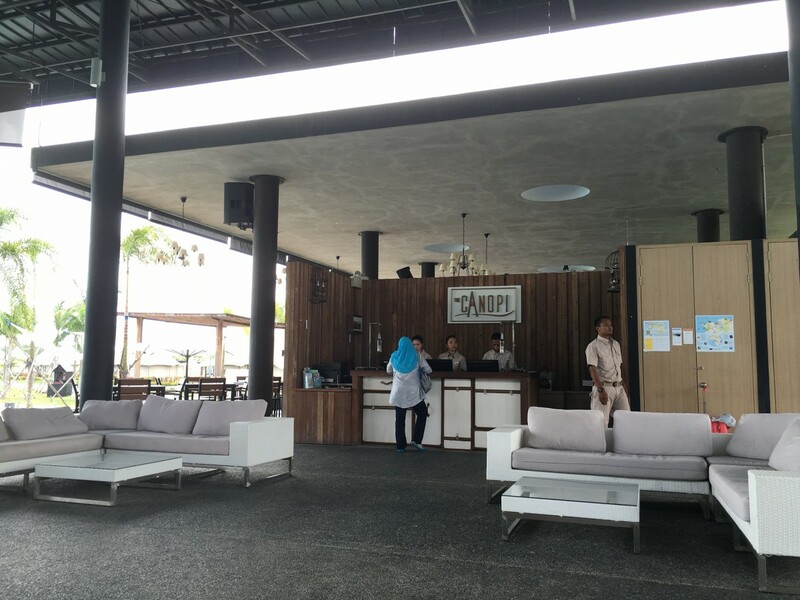 Could you please give an idea of how much will food and drinks cost at the resort? What an amazing and fascinating place to visit. I really didn't know much about this but after reading this post I will surely visit one day. Thanks for sharing such an amazing post.